[ Long Awkward Pose ]: [LAP] Closing Sale, LAST DAYS! [LAP] Closing Sale, LAST DAYS! 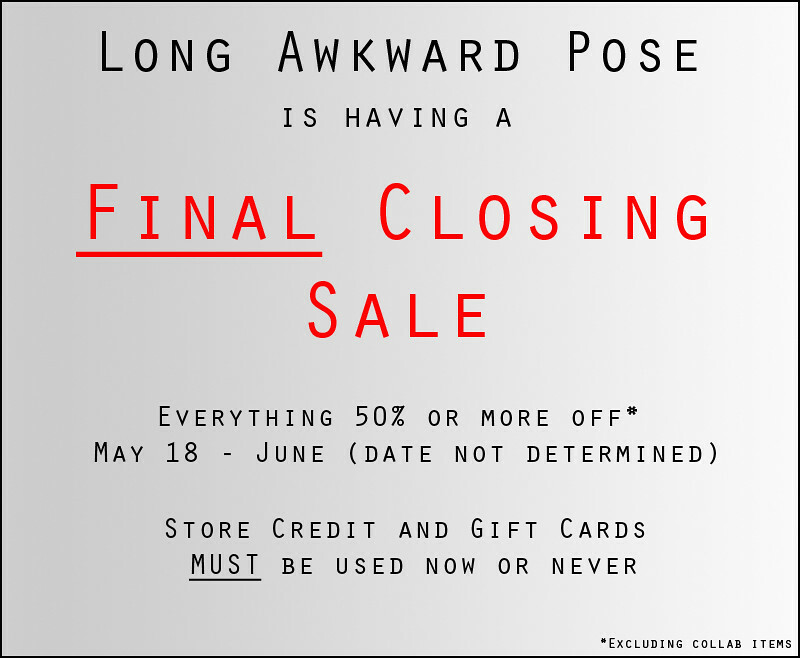 Posting this one last time - this weekend is your last chance to shop the closing sale, and your last chance to purchase anything from Long Awkward Pose. I'm closing up and tearing down my shop tomorrow evening (Sunday) and all items will be forever gone!